Palm Springs Golf & Country Club Karawang Course, formerly known as Sedana Golf & Country Club. Palm Springs Golf and Country Club Karawang Course is an international designed 18-hole golf course and has club facility within an exclusive residential community. The course is designed by Mark F. Rather of the Rather International Golf Design, Inc., USA, who believes in creating environmentally responsible courses which blend with the natural surroundings. 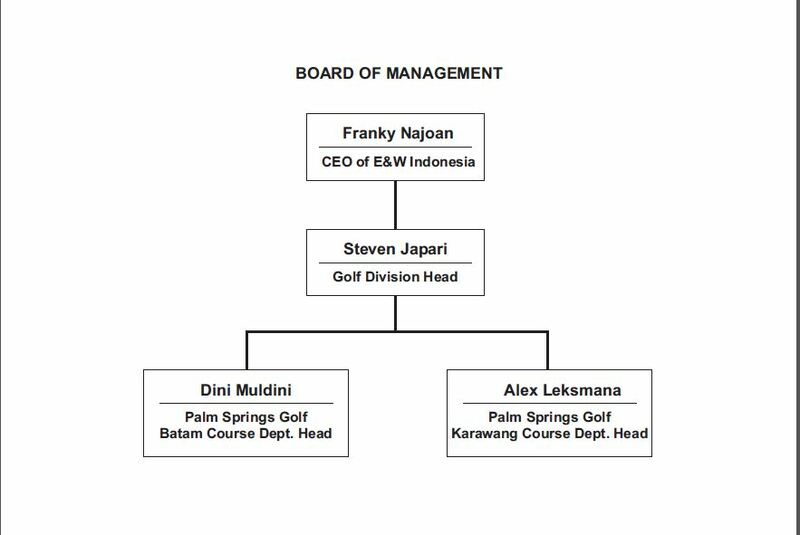 Palm Springs Golf and Country Club Karawang Course is owned by Sinar Mas Land, one of the biggest property developers in Indonesia who also own and operates Palm Springs Golf & Country Club Batam Course and Palm Resort & Country Club Johor Course in Malaysia. Combining modern technology and strategic design principles, the course is designed to allow players to walk through the gentle rolling terrain over and around the strategically placed lakes, stream and sand bunkers. The lush tropical landscape creates a beautiful view which can be enjoyed by the members and adjacent residential homeowners. Palm Spring Golf Karawang Course is both challenging to play and pleasing to the eye. The sprawling 75 hectare of gently undulating topography was carefully crafted and blends naturally into the golf complex to provide a panoramic view of the golf course. This championship 18-holes golf course provide enjoyment to the experienced golfer and beginners alike. The newly renovated club house exudes a warm, clean and bright ambience and team of friendly staff are ever ready to serve you. It facilities include variety sizes of function rooms to cater for events, wedding, meeting, training and launching of products. Our restaurant serves variety of Indonesian, Japanese and Korean delicious food. Our well-groomed waitress will be there to help with your selection. The Terrace cafe is a perfect hangout place for a cool drink and snack after a round of golf while enjoying the wonderful view. Welcome to Palm Springs Golf & Country Club Karawang Course.